This indictment is probably true of many nations in the world today but it is particularly true of my nation, South Africa. Isaiah could have been speaking directly to us. As I write this I can hear the news droning in the background – government officials trying to prevent the Public Protector’s report on the millions of public funds spent on developing the president’s private residential complex from going public – the much criticised secrecy bill now passed by parliament – a former freedom fighter responsible for the deaths of civilians and recently up on charges of drunken driving proposed as the head of the police watchdog organisation! Yes, truth has stumbled in the streets and is about to sprawl headlong into the gutter! In my next post I want to explain and illustrate both Pragmatism and Relativism, and in future posts I plan to pick up different sub-themes from the book and present them to you in short ‘word bytes’. 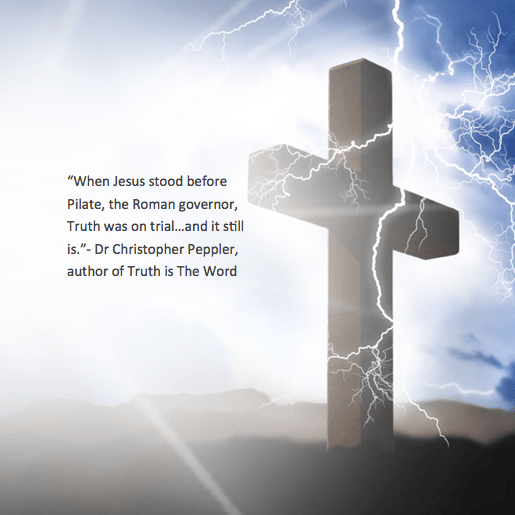 When Jesus stood before Pilate, the Roman governor, Truth was on trial…and it still is.